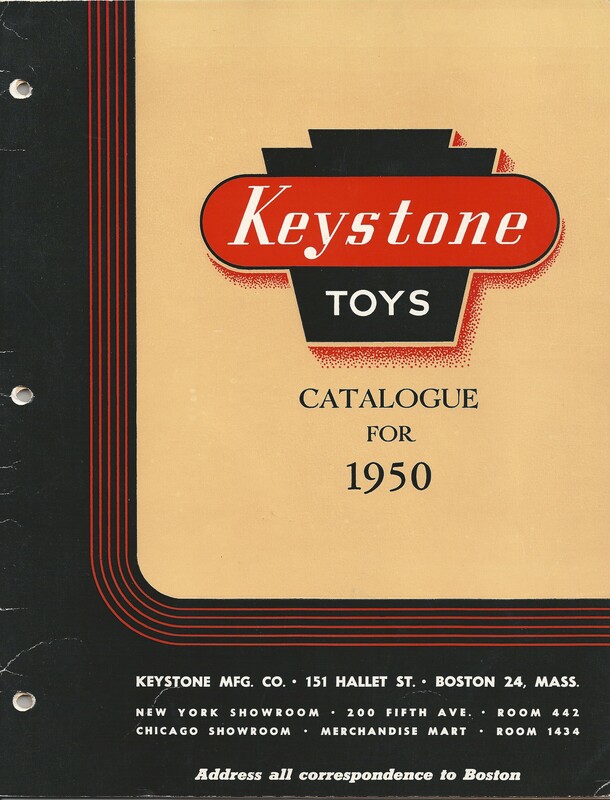 This is a 1950 Keystone Toys Catalog that is 20 pages of products. There are projectors, “ride ’em” metal toys, playsets, dollhouses, boats and sailboats. This catalog also has the original price list. I am trying to find out the original selling price of my 1947 Keystone Boston Tudor masonite dollhouse that I received as a Christmas gift in 1950. If this dollhouse appears in one of your catalogs, could you please tell me the price that this dollhouse sold for in 1949 – 1950? I would greatly appreciate it. My dollhouse is still in great shape and I would like to know more of its history. Thank you so much for any helpful information you can provide. I did not have any luck finding an original selling price for your dollhouse. The latter half of the 1940’s is a bit dark at this point. I do know that your dollhouse was a popular style and sold for many years. What you received that Christmas was special. Keystone dollhouses were some of the best made at the time and were not inexpensive. 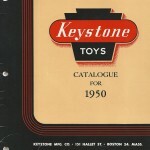 Most Keystone toys pre-1950 were of high quality and the price reflected that. I wish I could give you a hint but my knowledge of Keystone dollhouses is limited. Your dollhouse looks like it has been well taken care of and has many years of enjoyment left in it.